Scientists at University of Utah (U of U) Health report that they have developed high-tech tools to uncover the genetic cause of early infantile epileptic encephalopathy (EIEE). Their study (“Whole-genome analysis for effective clinical diagnosis and gene discovery in early infantile epileptic encephalopathy”) appears online in Nature Genomic Medicine. “Early infantile epileptic encephalopathy (EIEE) is a devastating epilepsy syndrome with onset in the first months of life. Although mutations in more than 50 different genes are known to cause EIEE, current diagnostic yields with gene panel tests or whole-exome sequencing are below 60%. We applied whole-genome analysis (WGA) consisting of whole-genome sequencing and comprehensive variant discovery approaches to a cohort of 14 EIEE subjects for whom prior genetic tests had not yielded a diagnosis. We identified both de novo point and INDEL mutations and de novo structural rearrangements in known EIEE genes, as well as mutations in genes not previously associated with EIEE,” write the investigators. “Most patients are on four to five medications and still suffer from frequent, debilitating seizures, from once a week to 50 times a day,” adds Betsy Ostrander, Ph.D., assistant professor of pediatrics at U of U Health and the division of pediatric neurology at Primary Children's Hospital and first author on the paper. All of the patients in the study had previously undergone several rounds of genome testing, such as clinical gene panels and chromosomal microarrays, but these methods failed to find the genetic cause of their illness. According to Dr. Quinlan, these tests were too low resolution or only focused on already identified causative genes to identify the mutation. He and his team created an array of computational tools that contain algorithms to scrutinize the genetic data and identify errors that lead to disease. 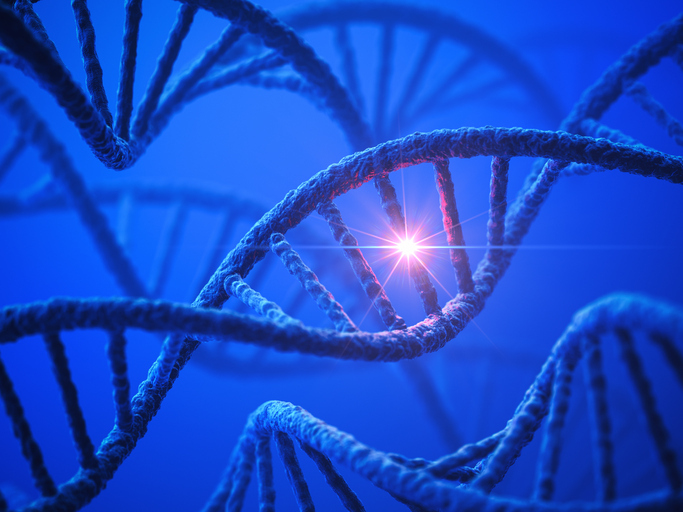 They applied their suite of computational tools to all of the genetic information from the patients and their parents to pinpoint changes in the genome responsible for disease development. The tools in this study, developed by the University of Utah computational teams (RUFUS, GEMINI, GENE.IOBIO and LUMPY) are available to researchers on the USTAR Center for Genetic Discovery website.